Full Bloom Peach, Cherry And Canola Flowers Like A Fairyland! 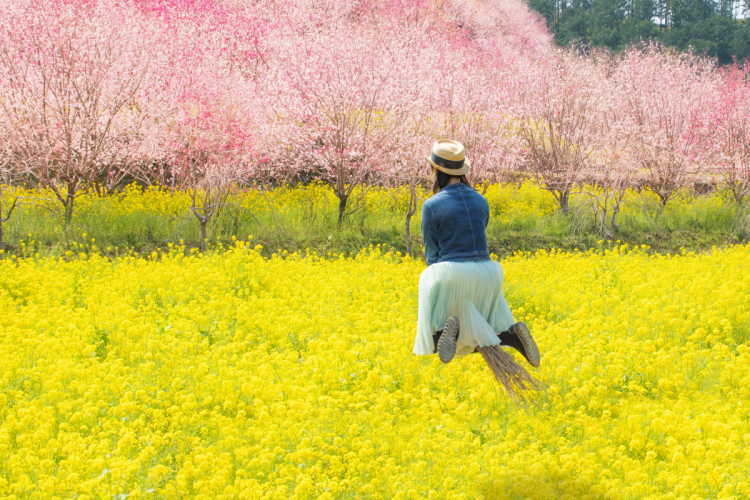 Many flower-peach, cherry blossom, and canola flowers become full bloom, and we can enjoy spring scenery. Though it's beautiful to look from a distance, we can walk up under these trees! The scenery overlooked from high position is also breathtaking, and beautiful like a fairyland. 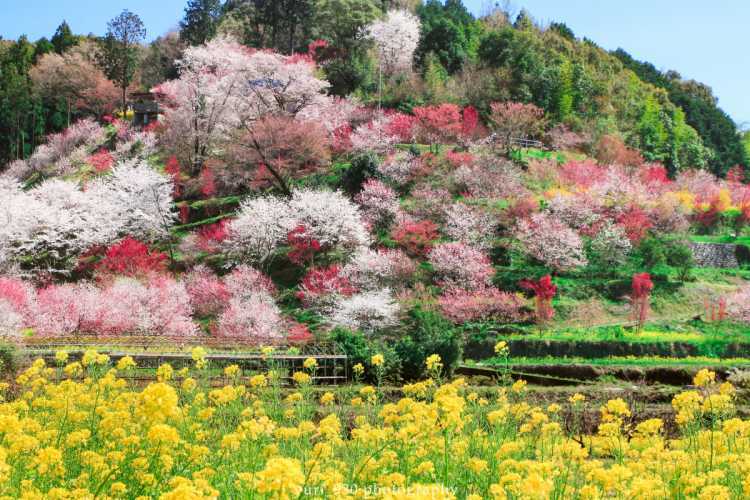 The colors of canola flower and flower peach are beautiful at Nishikawa Flower Festival. During the festival, we can enjoy the local specialty foods such as five-colored rice cakes, okowa rice whose color is like cherry blossom. Let's enjoy spring scenery and tastes.